Hunger Games? Nope, it’s the Hungry Games where participants will compete and ‘fight’ to post the most number of food reviews. The good news is, nobody loses, and everyone can win a prize! Every time I need to look for a restaurant or café, I will definitely do an online check on its reviews and pricing. You know you do not want to waste money and calories on bad food and restaurants. This is where OpenRice.com comes in. Actually shooting not involved in OpenRice’s Hungry Games, only shooting of food. 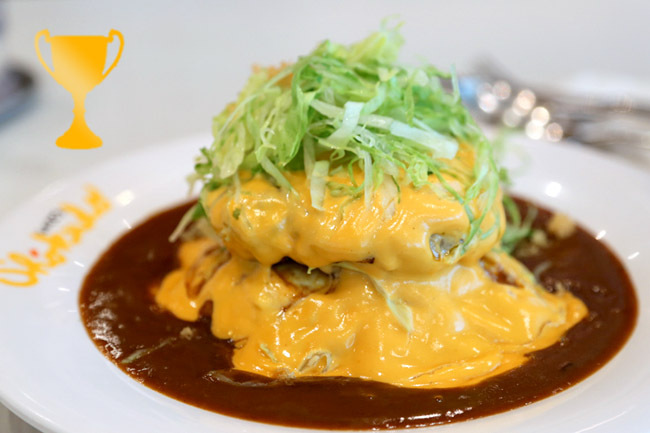 OpenRice.com is Asia’s Premier Dining Guide which features more than 24,000 F&B listings in Singapore. There are more than 60,000 user-contributed food reviews, which can tell you everything from the restaurants food, price, ambience and service. Very helpful and useful. 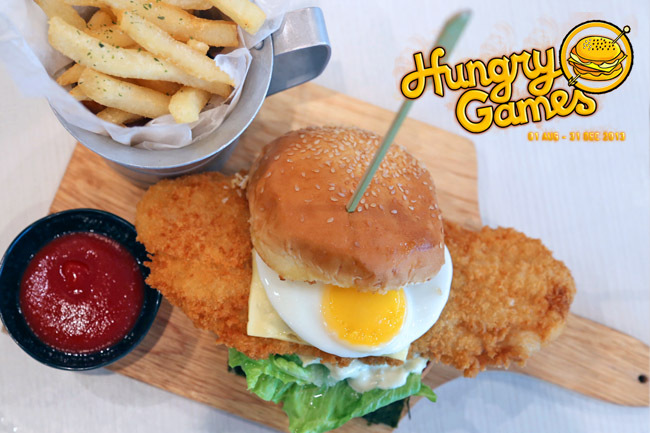 Now, they are inviting you to join and be part of their Hungry Games. What?! No bleeding involved in this Hungry Games. The Rules of The Hungry Games are simple. 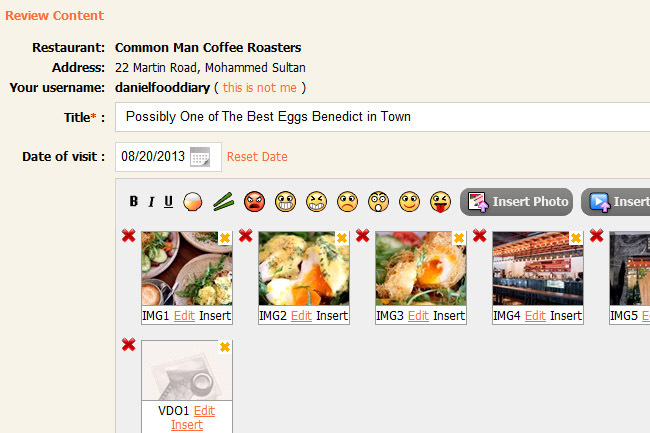 Rule No 1: Earn EXP experience points when you submit food reviews. Rule No 2: Be the FIRST to review or get awarded and Editor’s Choice for good reviews and get EXTRA POINTS. 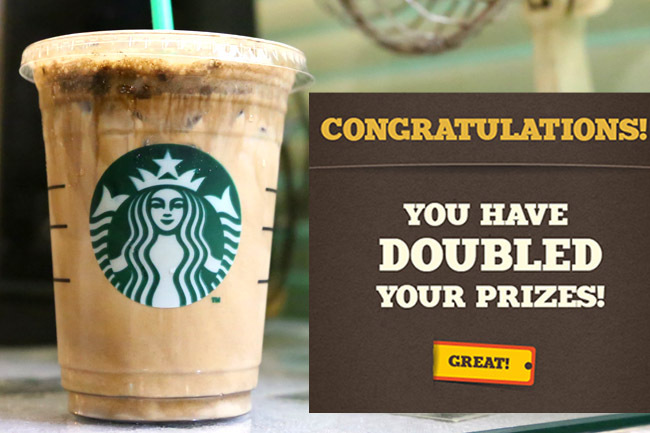 Rule No 3: The more food reviews you write, the higher your EXP level, and the more prizes you can redeem. Rule No 4: Use the accumulated EXP for the month to exchange for Prizes. Rule No 5: OpenRicers can also stand a chance to Double the Prizes that they have won for the month by sharing on Facebook. 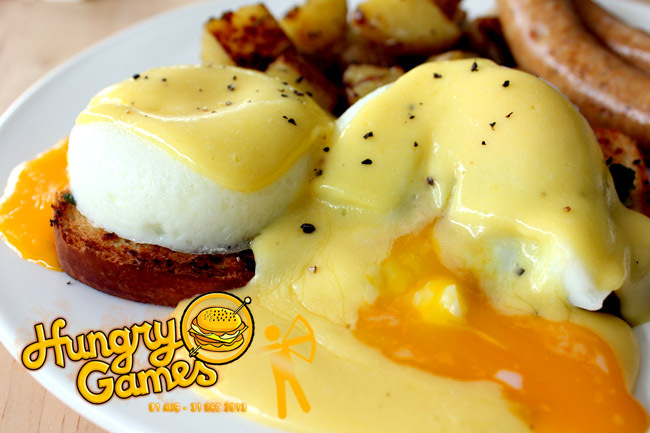 In the Hungry Games arena, two is always better than one. Prizes include movie tickets, Starbucks or CoffeeBean Card, vouchers from Kinokuniya, Popular, H&M, Forever 21, Capitamall, NTUC, Challenger, or Epicentre! Woohoo, I am sure there is something you want there. Write a good food review and save the world from wasted calories. How to write a Good Review? I want to help you WIN this. So here are 3 additional tips on how you can get more points. 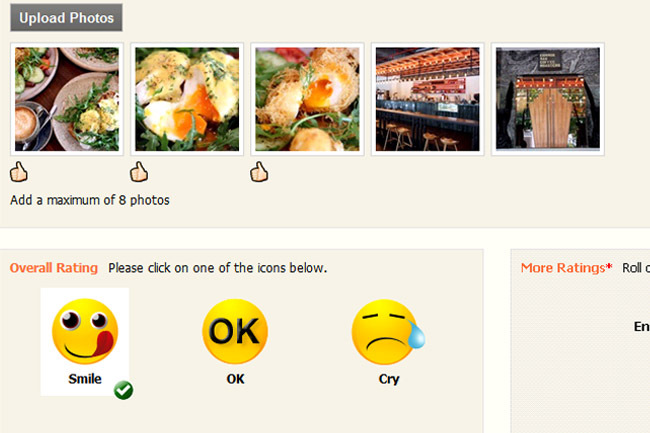 Tip 1: Look out for un-reviewed restaurants and food stalls on OpenRice.com. Be the FIRST to review to get more EXP points. Tip 2: Take more pictures of your food. I usually shoot at least 6 for one dish. Then pick the best to upload. Reviews with photos get more EXP, and also more readers’ attention. Tip 3: Write a good review to be awarded Editor’s Choice. That means clear mouth-watering pictures, a good description and your personal voice. Be an OpenRice Hungry Games champion. And there can be more than one. 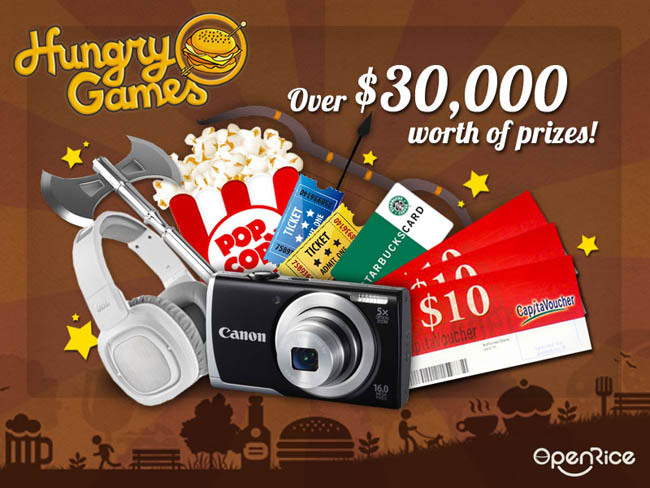 Visit OpenRice.com now to join The Hungry Games and win awesome prizes every month! Where is the place that you posted the pic of the oversized fish burger.